ASUS Republic of Gamers has announced an update to its ROG Sica Gaming Mouse. The Sica represents the simplest of the ASUS ROG gaming mouse range with its ambidextrous design offering just two buttons plus a clickable scroll wheel. However this update brings along a Glacier White colour choice and upgraded easy-swap socketed main mouse switches from Omron. 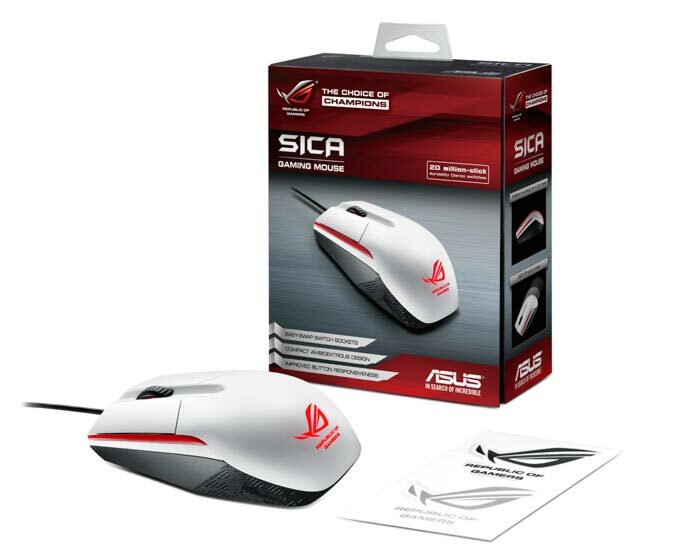 HEXUS reviewed the original ASUS ROG Sica Gaming Mouse a little under a year ago. We concluded that as it stood the RRP of £29.99 was a little on the high side for the features present, taking in to account competitor products and so on. Perhaps that was ASUS ROG creating a feature-set that would offer basic appeal without cannibalising the higher price models. However we still thought the mouse offered a good quality components, like the switches and sensor, and well rounded software. So the changes delivered to the new ASUS ROG Sica aren't dramatic. You have the new colour, and "upgraded Omron switches" installed, and the main two click switches are swappable - but were also swappable in the Sica we tested last year. However one can't complain as the price remains the same, at £29.99, but we are offered more choice. 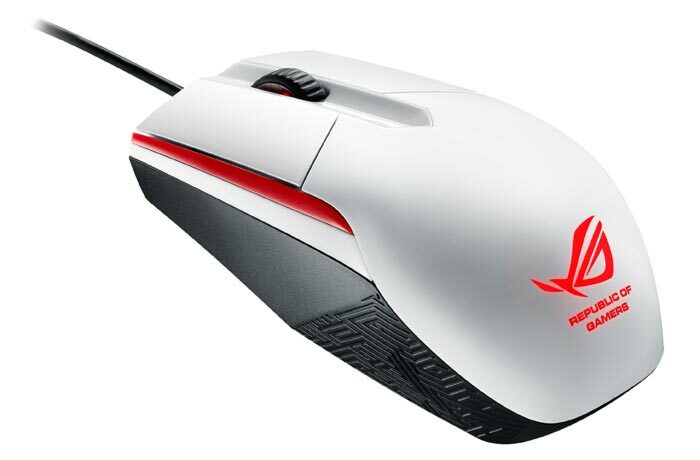 ASUS UK says the new White ROG Sica Gaming Mouse will be available by the end of February.